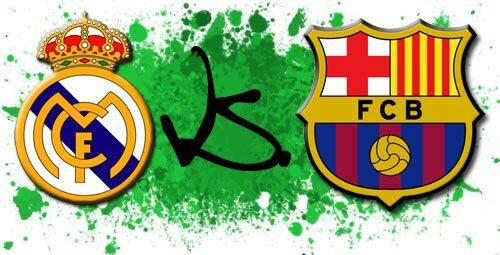 Barcelona beats Real in El Clasico | Marbella Marbella – Adelante! Lionel Messi scored his 27th La Liga goal and 40th in all competitions, and Barcelona handed Real Madrid its first home loss of the season, 2-0 on Saturday at the Bernabeu in the El Clasico. Messi scored in the 33rd and Pedro added the second goal in the 56th, as Barça snapped Real’s 12-match La Liga win streak to move three points clear in the standings. Barça won the first meeting between the team in November, 1-0. Messi scored four goals Tuesday to lead Barça to a 4-1 win over Arsenal in the second match of their Champions League quarter-final series, and into the last four on aggregate, 6-3, and continued his scoring pace against Madrid. The 22- year-old Argentine has 14 goals in his last eight starts. Real, which was eliminated from the Champions League in the quarter-finals, has seven matches to catch Barça – which holds the tiebreaker because of the wins over Real – or it will fail to win a trophy following its nearly $400 million off-season makeover. Cristiano Ronaldo and Gonzalo Higuain, who have combined for 42 La Liga goals, combined six minutes into the match to create Real’s first chance. Following a quick pass to Higuain outside the penalty area, Ronaldo sped into the box to receive the return pass but was offside. Real handed Barcelona a good chance off a free kick in the 13th after Fernando Gago fouled Xavi on the edge of the area, but Daniel Alves fired high from 25 yards. Ronaldo created another chance for Real in the 15th but, after trying to drive into the left side of the box, stumbled over Barça’s Gerard Pique as he tried to cut back to the right and was already asking for a penalty kick before even hitting the ground. Messi, who was quiet in the opening half hour, didn’t waste his first chance – firing past Iker Casillas following a perfect give-and-go with Xavi. Messi did the early work on the goal, driving in off a quick free kick before slipping a pass off to Xavi. The Argentine continued his run into the area and Xavi chipped the return pass over Real’s defense, which was caught asking for offside, to Messi. He settled with his chest, then fired past Raul Albiol and Casillas to the left side. Madrid finally involved Valdes seven minutes after half but Marcello’s 19-yard shot was easily handled by the Barça goalie. Real had two more chances to equalize after falling behind but Xabi Alonso hit a header high from inside the six-yard box in the 39th, and Higuain got under a shot from 10 yards as the hosts failed to test Victor Valdes in the half. Barça took control of the match four minutes late when Xavi put Pedro through, and he outran Alvaro Arbeloa to finish from 19 yards with a left-footed shot around Casillas and just inside the left post for his eighth goal. Higuain fired wide of the left post from 20 yards minutes later and Rafael Van der Vaart wasted Real’s best chance in the 59th. Guti put Van der Vaart through and he had a one-on-one chance with Valdes, but his shot to the right side was not placed well and Valdes made the save. Ronaldo had a look off a free kick from 24 yards that slammed into the wall in the 61st, then was denied from a tight angle on the left by Valdes following a long run down the left in the 69th. Guti put another shot on goal in the 70th, but Valdes made his seventh save in the first 25 minutes of the second half and covered up the rebound with Sergio Ramos closing in ready to pounce on the loose ball. Madrid kept Messi under control following his goal, but the magician was back at it late in the second half with two chances in a short span that could have easily sealed the match. Messi was put through by Xavi in the 72nd but Valdes did enough to deflect the shot wide of the right post. Messi got into the box alone in the 74th, but his attempt was again turned wide of the right post by the Madrid goalie. Neither side created much in the final 15 minutes, and the Bernabeu started to empty five minutes from time. Also Saturday, Cala and Lolo scored in the final 25 minutes as Sevilla rallied for a 2-1 win over Malaga, Rafa Lopez scored in the second half to lead Getafe to a 1-0 win over Xerez, Diego Godin scored to lead Villarreal over Sporting Gijon 1-0, and Tenerife tied Valladolid 0-0. 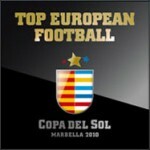 Today, Deportivo hosts Racing, Athletic Bilbao hosts Almeria, Espanyol hosts Atletico Madrid, Osasuna hosts Zaragoza, and Mallorca hosts Valencia.